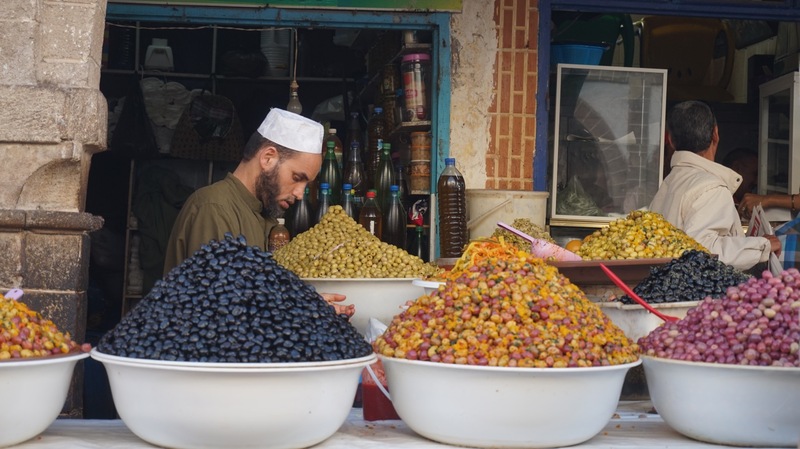 With strong Arab influence, eating in Morocco is definitely a plate of heavy meat seasoned with a flavourful combination of coriander, parsley and cumin. 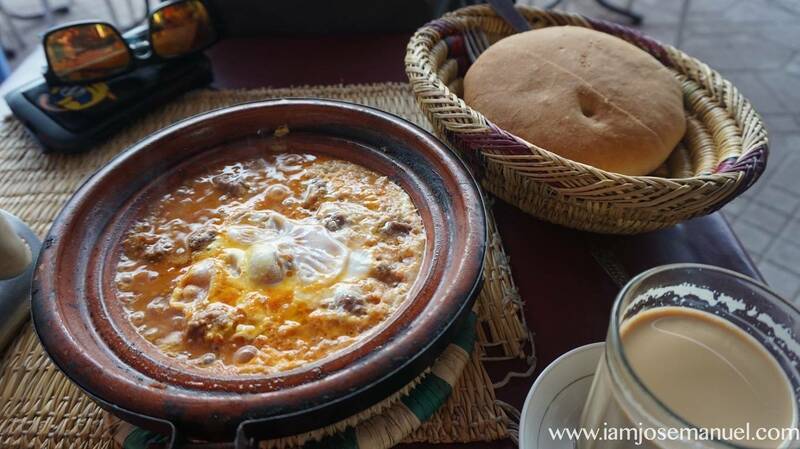 Unlike Indian, locals said that their dishes (especially the Tagine) are usually subtle with just a dash of chilli. 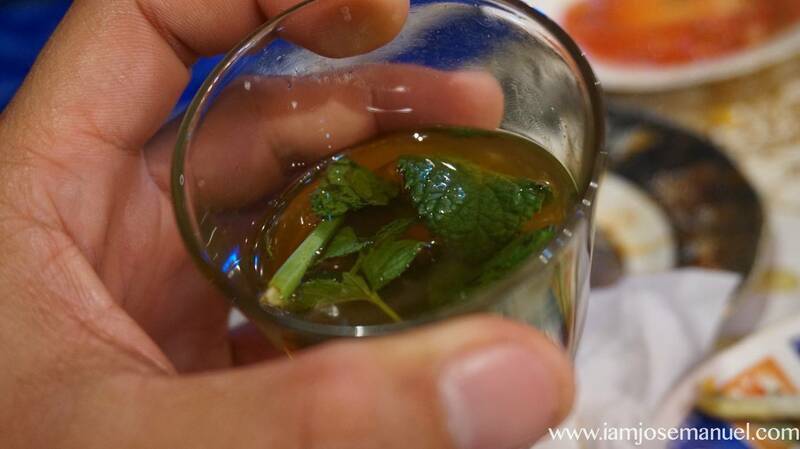 Here are some of the dishes I enjoyed during my 4 days stay in Morocco. FYI I did not try eating exotic dishes like lamb brain or dried eyes or something, but they have. Tangine of all sorts. 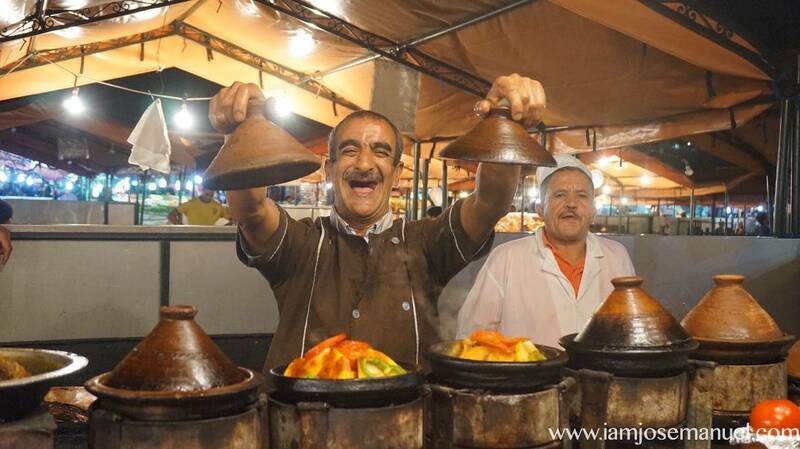 A tagine is not actually the cuisine but the manner of cooking food on a clay pot with a conical lid. It is like their version of rice toppings. Dishes are cooked only on low fire. 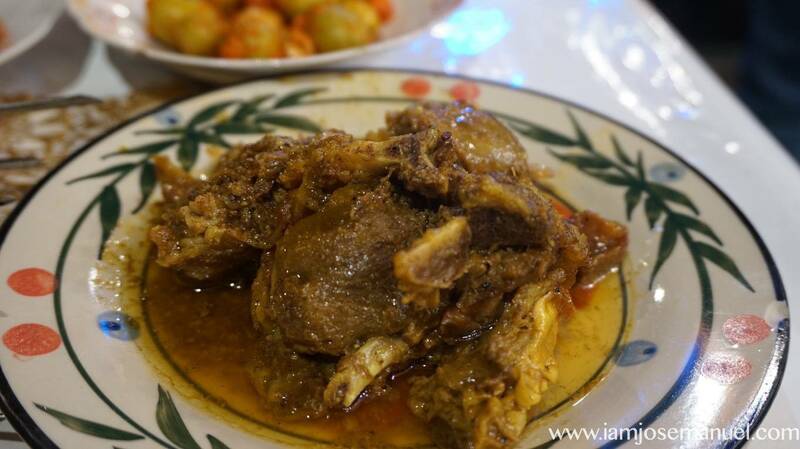 Lamb Tagine (stewed lamb with a hint of curry) this one is around 80 pesos at a cheap stall in Jemaa El Fna. 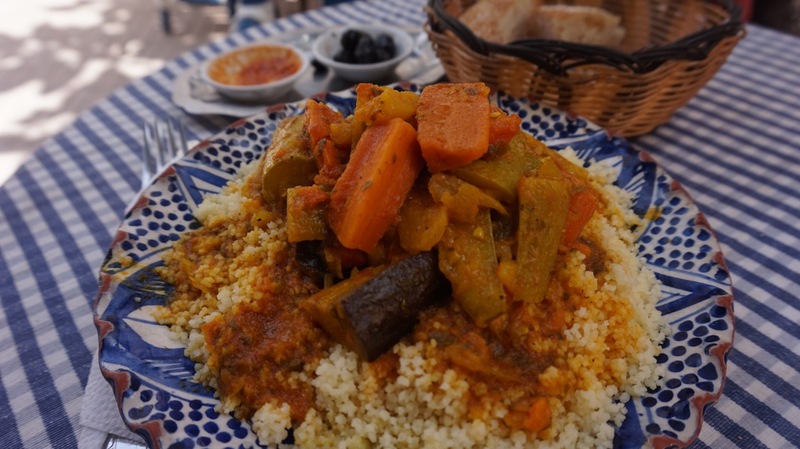 Vegetable Curry Tagine over cuscous starch. 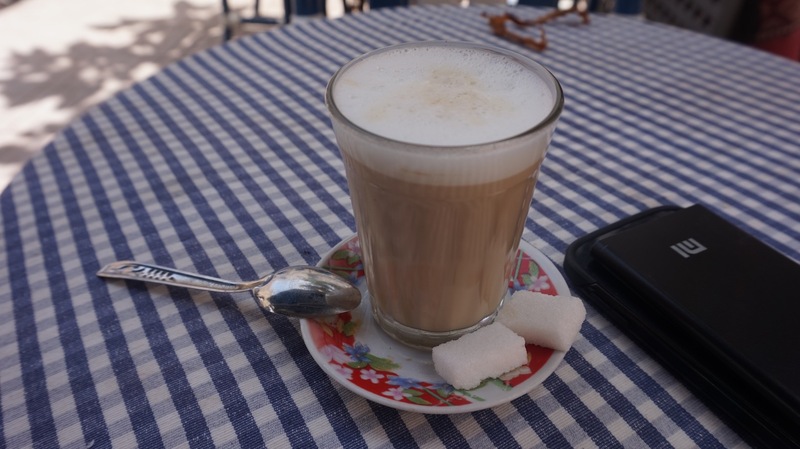 This one I had in Essaouira, for around 250 pesos at a sit down restaurant, with refillable bread, olives and coffee. Kefta Tagine. Beef mince with garlic, fresh spices, cinnamon and is rolled into balls and cooked in a tomato and onion sauce. Just before the dish is ready, eggs are cracked into depressions in the sauce. 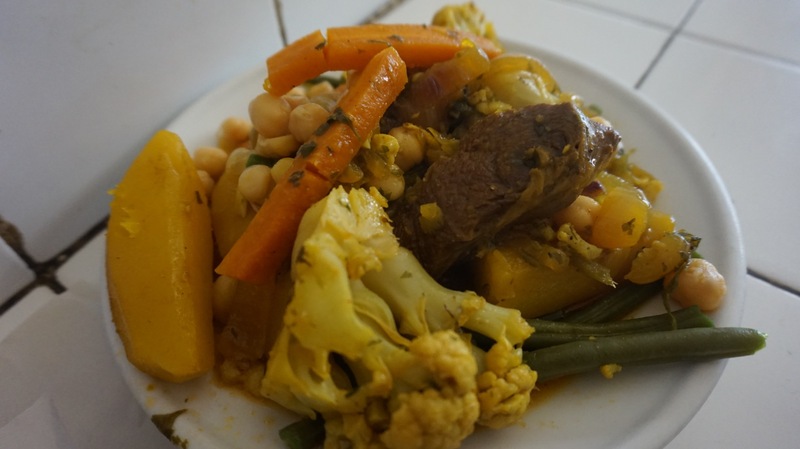 Beef Tagine. One of the best meal I had from a small eatery along along Essaouira public market. This one was around 150 pesos good for two. 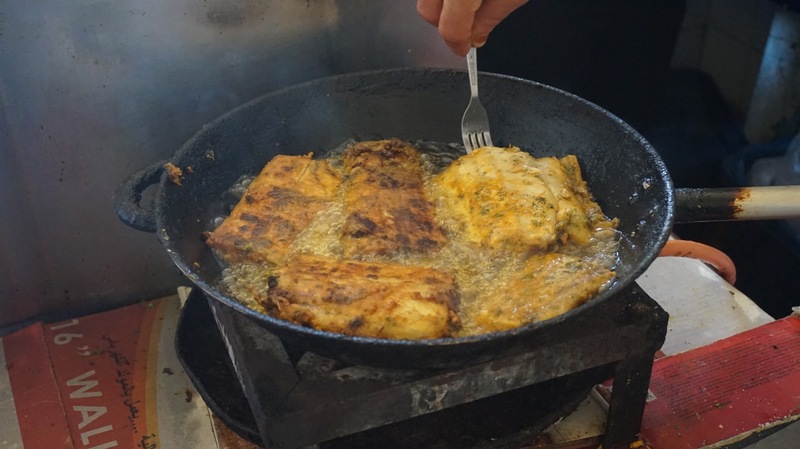 Deep Fried Fish, Moroccan Style. 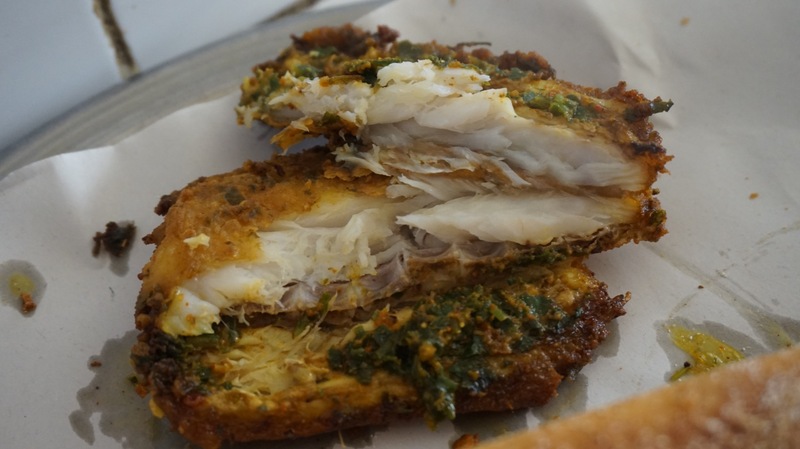 From the same eatery, I ordered this fried fish because the meat was very fat and perfectly cooked. The fish was DIWIT (Cutlassfish), definitely the same fish we have here in the Philippines. 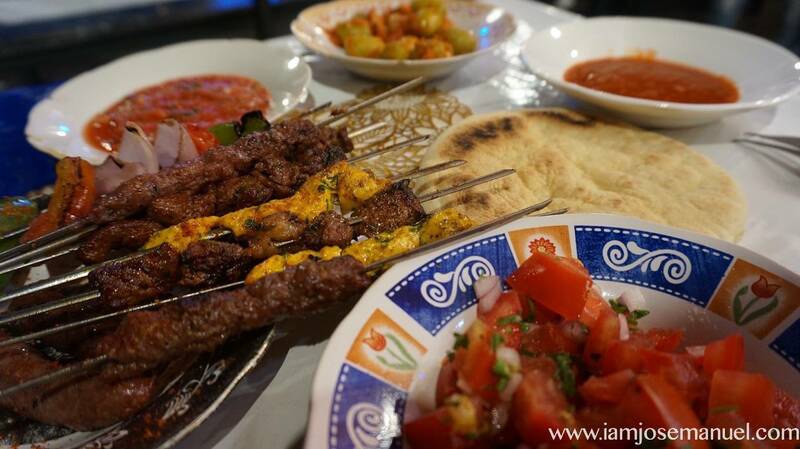 Kebabs and Salads. This came a bit pricey at around 30 pesos per stick but it does come with bread, salad and preserved olives. 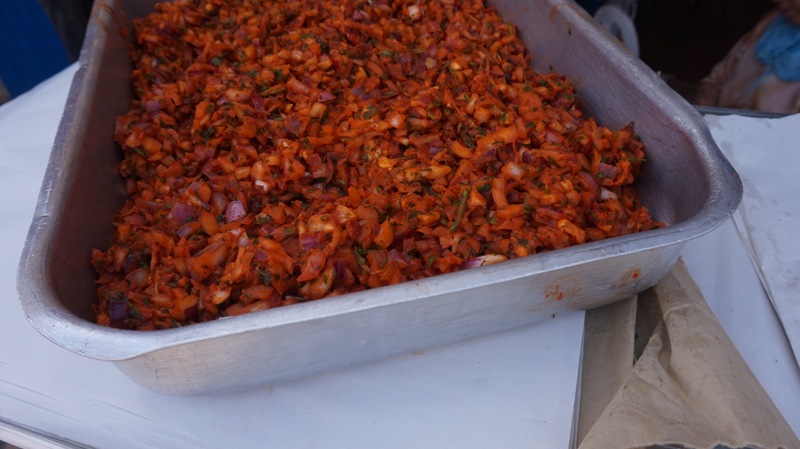 Zaalouk – A bread filling that includes green peppers and tomatoes, sweet carrots or courgette purée, and a dish of local olives alongside. This was a street food I had along the public market. 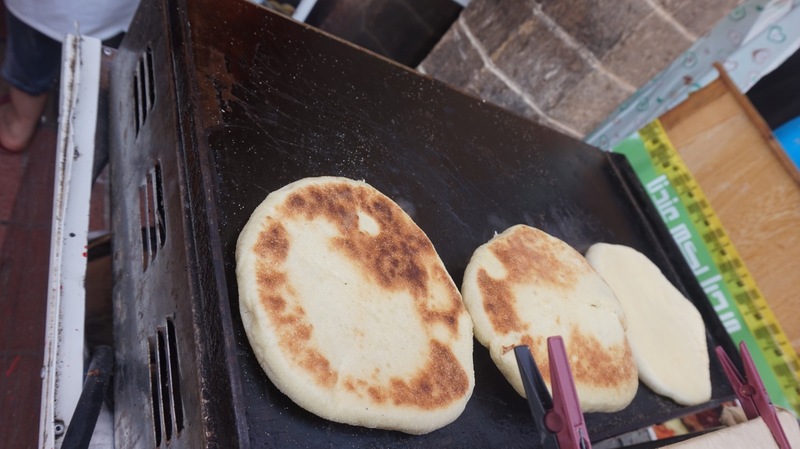 The bread prepared over an open oven, to pair with Zaalouk. Some other usual food you’ll see along the street. 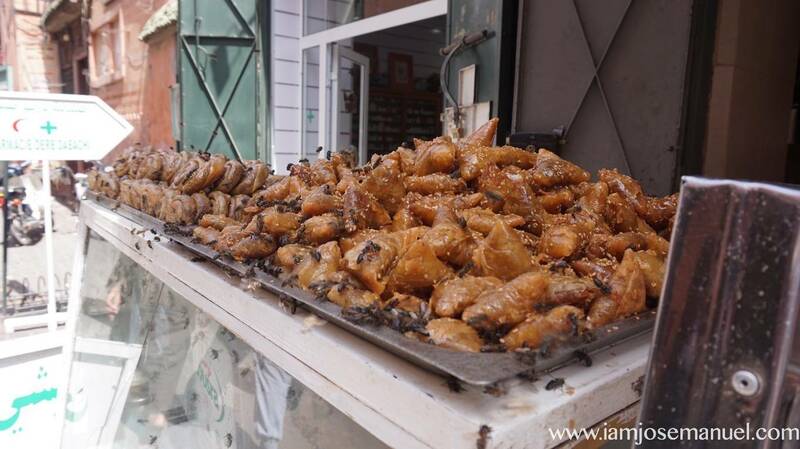 Its a cultural thing that Moroccan Pastries are guarded by bees. Of course, you are not supposed to eat the bees. Cheap, big bread. like only 10 pesos per piece. Expect to see a lot of olives! 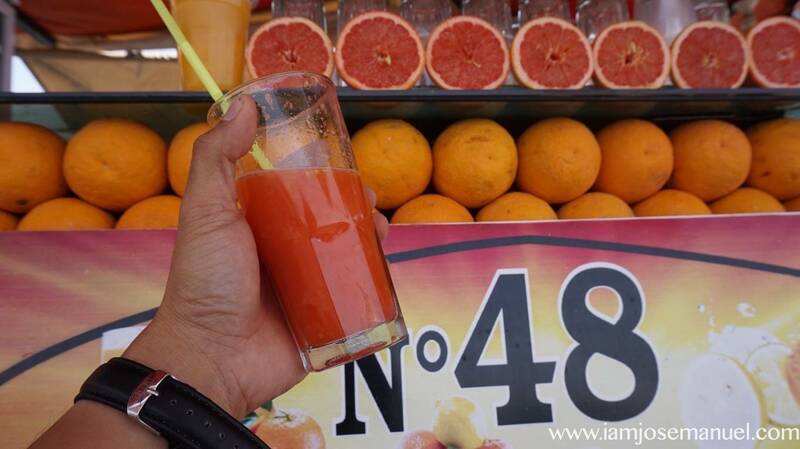 Freshly squeezed grapefruit juice for 40 pesos. I would recommend though to be careful with anything uncooked and unprocessed for safety purposes. 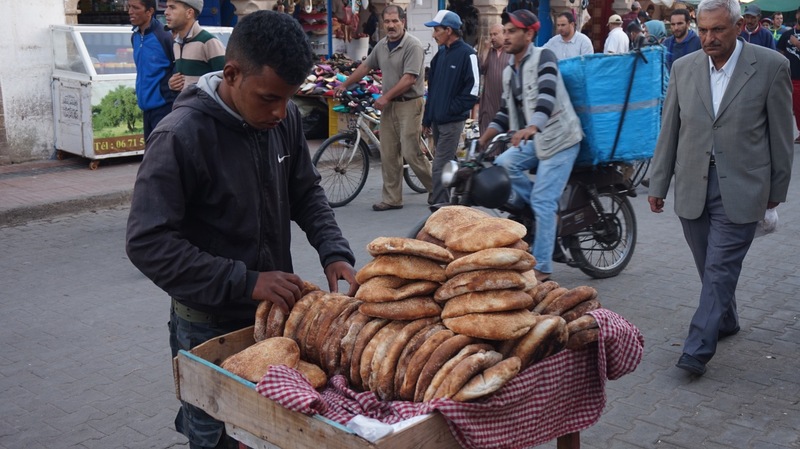 ← Backpacking Marrakesh,Morocco: What to expect?